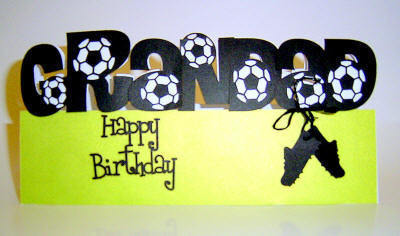 Our Project of the Month for May is a detailed Football theme card especially for Father's Day or Dad's Bithday. This is available in the words DAD and GRANDAD. 3D Foam Pads and double sided tape or glue.